There's an increasing need for marketers to demonstration clear ROI through their online event programs. Doing so requires a strategy far beyond running a web-cast every month. 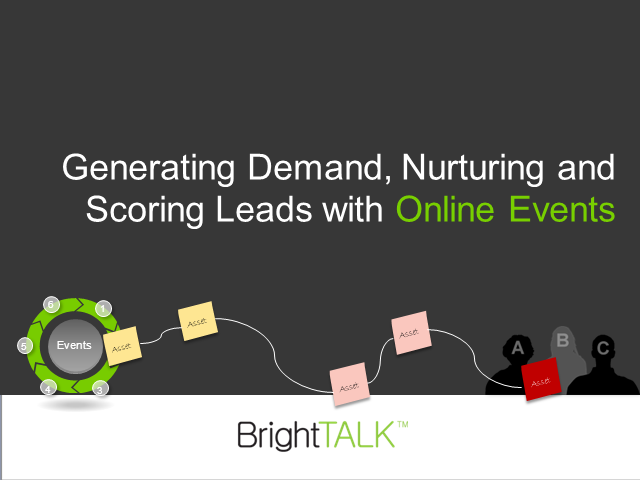 Join David Pitta, BrightTALK Demand Generation Manager and Product Evangelist, for this 30-minute overview of how to generate demand, build nurturing campaigns, and score leads with online events.